NiCK'S SANCTUARY: The Hippocratic Prayer? Recently I've been contemplating the need for Christians to be more responsible in their handling of others, especially in matters that are deeply personal. I have in the past been the recipient of well meaning intentions that have had detrimental effects on me and it has occurred to me that too often we find a solution to a problem that seems to work for the many... and mistakenly assume that it is a panacea. We must remember that every one of us is individual... what works for 90% of people may not be beneficial for the remnant. If we take medicine for example.... even something as wonderful as penicillin has it's limitations, for those who are allergic it is not a wonder drug... it is a potential death sentence (I say this secure in the knowledge that I am among that minority). Whilst watching elements of Pope Benedict XVI's state visit to Britain, I caught with interest something a commentator said with regard to Cardinal Henry Newman. It was said that Newman was a strong advocate of the idea that you could not truly help a person unless you took the time to know them. In this matter I agree with Newman (the irony is not lost on me). Sometimes a person's needs are obvious... on other occasions there are hidden factors influencing those needs. If we spiritually "dish out the pills" without knowing our "patient", we run the risk of harming them and even vicariously, those they know, in a variety of ways. While pondering these things my mind wandered onto ideas in culture (both factual and fictional), where a doctrine has been established whereby those who adhere to it, pledge to a pattern of behaviours that protects the people with whom they come into contact. The three immediate examples that occurred to me were Asimov's three laws, the Star Trek prime directive and the Hippocratic Oath taken by doctors. It's the latter of these three that I decided to focus on. The oath was originally set down approximately 2,400 years ago in classical Greece. 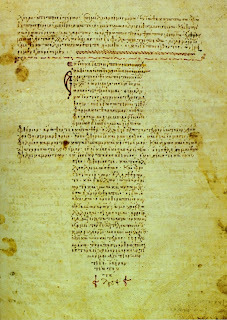 In its original format it invoked the names of various Greek gods, but over time it has been adapted to suit the needs of various Western cultures that have inherited Greek ethics. 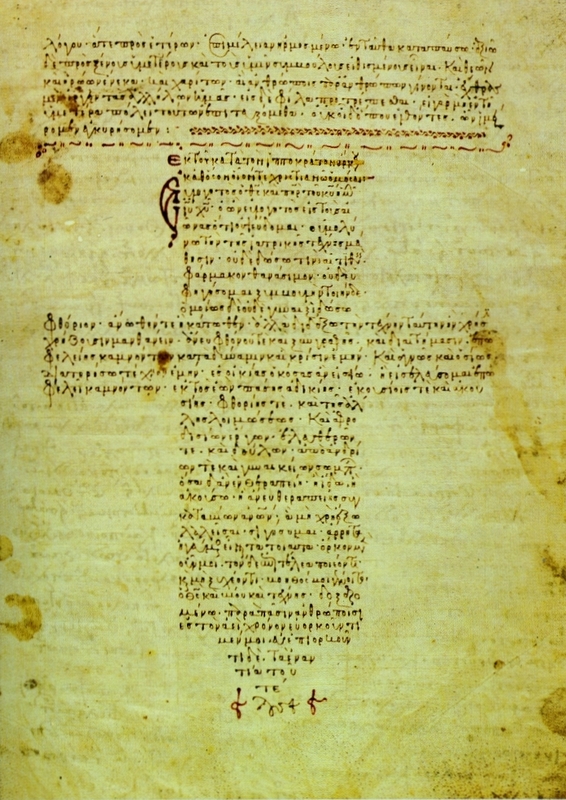 A representation of the Hippocratic Oath in the shape of the cross. In more recent history, a motion has apparently been put forward suggesting that code in the same spirit as the Hippocratic Oath be set up for those who work in the area of scientific research. I will respect the hard-won spiritual gains of those brothers and sisters of the faith in whose steps I walk, and gladly share such wisdom that you have blessed me with, with those who are to follow. I will apply, for the benefit of others, all measures [that] are required through prayer, scripture and counselling, avoiding those twin traps of overtreatment and therapeutic nihilism. I will remember that there is divine grace in fellowship as well as the call to righteousness, and that warmth, sympathy, and understanding may sometimes outweigh the need for discipline or the words of rebuke. I will not be ashamed to say "I know not," nor will I fail to call on the prayers or assistance of other members of the Church, when the skills or wisdom of another are needed for the restoration/reconciliation of those you call me to help. I will respect the privacy, rights, individuality and personal needs of those who confide in me, for their problems are not disclosed to me that the world may know. Most especially must I tread with care in matters of life and death. If it is given to me by your grace and power to be help to save or preserve life, all thanks. But it may also be within my power to damage or destroy a life through my own fallen nature; this awesome responsibility must be faced with great humbleness and awareness of my own frailty and need of divine grace. Above all, I must not play at being God, for you alone are God. I will remember that I do not treat a statistic in society, or sin itself, but human beings broken by sin, whose problems be they physical, psychological, emotional or spiritual may affect the person's family and economic stability. My responsibility includes these related problems, if I am to care adequately for them as an ambassador of your Son. I will prevent myself and others falling into sin whenever I can, for prevention is preferable to cure; always remembering however, that God's grace is sufficient in all our weaknesses and is able to save us whenever we stumble. I will remember that I remain a member of Christ's body, with special obligations to all my fellow human beings, those who appear sound of mind, body and soul as well as the broken and crushed in spirit. Lord, help me to maintain this covenant, that I may enjoy life and art, be respected while I live and remembered with affection thereafter, that I served you and was an inspiration to others. May I always act so as to preserve the finest traditions of my calling and may I experience the joy of teaching, encouraging, healing and restoring those who seek my help for as long as it pleases you to enable me to do so. I know it is fairly long... but I wanted to capture each element of the oath and ascribe it to a different aspect of the Christian walk. I'd be grateful for additional input on this. Is there anything in there that seems a little theologically out of step or perhaps too strongly worded or irrelevant. If you have any suggestions or alternatives, I'd be very interested to hear them. Hi Nick, hoping to discuss this with my home group tomorrow. Helping and giving are very much on my mind at the moment, as is how to approach those who confide in you. I will let you know what is discussed if we manage to talk about it.